Early showers did not deter Wedza folks from dancing, singing along and enjoying music from different artistes who had come to perform for a Christmas gala held at Goneso shopping Centre. Musicians rarely stage shows at the rural habitat and it was a memorable event for most music followers. Organised by Tino Machakaire of Tinmac Transport, the event featured top entertainers like Alick Macheso, Peter Moyo, Nicholas Zakaria, Suluman Chimbetu, Blessing Shumba, Leonard Zhakata, Killer T, Sabhuku Vharazipi, Andy Muridzo, Agatha Murudzwa and Brian Samaita among others. It was a rare opportunity for the folks who hardly see their entertainers in action. Some had travelled for about 15 kilometres from places around like Chikurumadziwa, Dorowa and Chimbwa on foot. Tinmac boss became their king as he managed to bring an icing on the cake to a day they celebrate with relatives and friends. Shumba, a renowned gospel musician from Mutare had a good day in office as his songs “My Season”, “Chimwe NeChimwe” were enough to thrill merrymakers. The musician said it was good that they managed to meet their fans on Christmas day. Vharazaipi’s comic antics left fans in stitches while Muridzo was on top of his game. Killer T and Sulu performed in the early hours of the event and they managed to give fans the best. Sulu sampled his song “Asante Sana” much to the delight of the revellers. Killer T delivered one of his best performances at the event. Muridzo managed to give folks enough time to dance to his music as he belted out hits that gave him a household name. “Dherira”, “Tichambotenderera”, “Chomudiri” were part of his playlist. 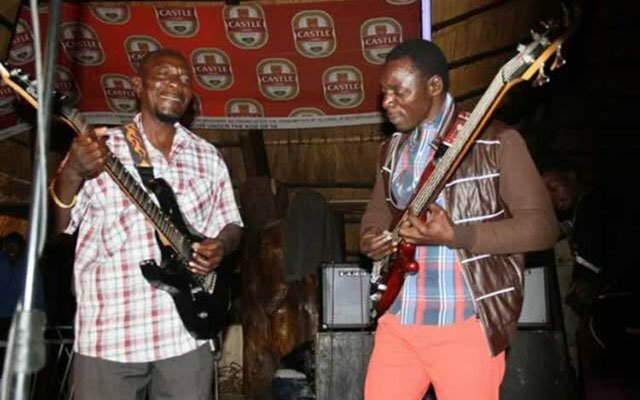 Macheso and Zakaria took fans down memory lane.